Does your dog stop eating when you approach his food bowl? Does he growl when you try to take away the bone he’s chomping on? Does your dog snarl at you when you try to clip her nails? Is your dog shut down and afraid of the world? Does your dog bark at strangers or worse, try to bite them? We can help! We help your dog learn to feel safe and secure and teach them to love having their nails trimmed or having their stuff taken away! We can help increase their confidence and work on behavior modification for problems such as body handling, food, resource and location guarding. Initial 90 minute consult is $250 with additional 1 hour sessions at $150 each. Initial consult includes a complete assessment, training plan, recommendations and one month of follow-up email support for the initial training plan. Adding a new dog to your household? Adult or puppy, we can help get your dog housetrained, chew trained and fluent with basic obedience behaviors like sit, down, stay, leave it, wait at doors, and coming when called. For puppies we also have an extensive list of important socialization experiences and aggression prevention that we work through to help your dog grow up to be a social and friendly adult. We can also help correct nuisance behaviors like pulling on leash, play biting, jumping up, begging at the table, chewing the wrong items and excessive barking. And, we can help enrich your dog’s life with good problems to solve to help burn some mental energy to help tired him out. Remember the old saying, a tired dog is a good dog! Obedience packages are sold in 3 sessions ($400) and 6 sessions ($750). Packages are non-refundable and must be used within 3 months of initial payment. Got Kids AND a Dog? You need Family Training! We know that taking on the mega-job of parenting kids AND a dog together is NOT easy! Families need specialized training tailor-made just for them. And that’s EXACTLY what we offer. Our Family Dog Private Training program is customized to get EVERYONE involved. You’ll get all the tools and support you need to get your kids on board, your dog in check and the whole family playing for the same team! It’s fun, effective and 100% positive! Put your new skills to use in YOUR home – where you need it most! Involve your WHOLE family in the training – YES! Kids too. Play training games that make learning FUN! The kids’ program is a “Special Agent Center” where they’ll have so much fun they won’t even know they’re learning! AND there’s even “in a nutshell” videos to help keep grandparents and nannies on the same page. Feel confident that you’re on the right path! So whether you want to get ahead of the game or you’re struggling to keep your head above water, our family dog private training program has EVERYTHING you need to look like a PRO in your new role, and actually ENJOY doing it. Family Training (6 sessions) and the online program is $800. Packages are non-refundable and must be used within 3 months from initial payment. If getting your dog certified as an AKC Canine Good Citizen, we can help train for the requirements that are part of the CGC Evaluation. This is great preparation if you are thinking about training your dog as a therapy dog. CGC Exam prep is $125 per 1 hour session. CGC Testing is $25 on-site or additional travel fee applies. 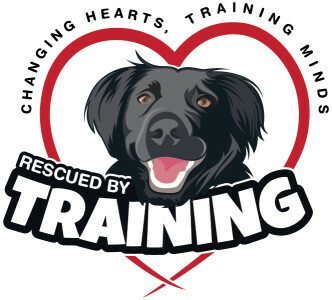 Project tRade is the Pet Professional Guild’s (PPG) international advocacy program that promotes the use of force-free pet training equipment by asking pet guardians to swap choke, prong and shock collars (and any other devices that are designed to change behavior through pain or fear). Because we want all pets and their guardians to experience the huge advantages and long-lasting effectiveness of force-free training and pet care, we will give you great discounts on our most popular, effective, fun and pain-free training and pet care services in exchange for your old gear. Click here for more details. We are here to help you before you even bring a dog home! We offer pre-adoption counseling to help guide your breed choices when bringing a new dog or puppy home. We can also assist in the process, working with your rescue to ensure you bring home the right breed (or mix!) for your home size, energy level, household makeup and lifestyle. The first step to a successful and happy relationship with your dog is making sure you select the kind of dog that fits your lifestyle, not just the cutest one you see! We can help guide you with our extensive breed knowledge and understanding of the genetics at play. Adoption counseling is $150 and includes a one-time $50 credit towards future training. On site meet and greet with the dog can be arranged within a reasonable distance or for an additional travel charge. No trainers nearby? We can help you remotely! Not all training can be done remotely, so please contact us to see if remote training is right for you. Don’t need in home training but need some solid training guidance as you DIY your own training? Have questions you just want answered by a professional? We’re happy to consult with one on one with our phone consult. New clients: Please complete the Client Contract Form to schedule a consult.